Ukraine is a large country in Eastern Europe known for its Orthodox churches, Black Sea coastline and forested mountains. 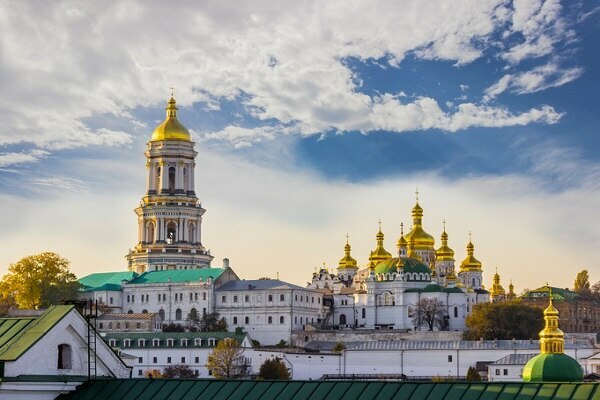 Its capital, Kiev, features the gold-domed St. Sophia's Cathedral, with 11th-century mosaics and frescoes. Citizens of Armenia, Azerbaijan, Georgia, Moldova, and Uzbekistan who have booked tickets to Ukraine can visit and stay in Ukraine indefinitely. However, citizens of Moldova and Uzbekistan must hold proof of sufficient funds and air tickets on arrival. Visitors who are citizens of all European Union member states, Albania, Andorra, Belarus, Brazil, Canada, Chile, Iceland, Israel, Japan, Kazakhstan, Kyrgyzstan, Liechtenstein, Macedonia, Monaco, Mongolia, Montenegro, Norway, Panama, Paraguay, Russia, San Marino, St. Kitts and Nevis, South Korea, Switzerland, Tajikistan, Turkey, the United States/American Samoa and Vatican City can visit visa-free for up to 90 days within a 180 day period. However, citizens of Kyrgyzstan and Tajikistan visiting Ukraine must also present proof of sufficient funds and return air tickets when arriving in Ukraine. Those holding a diplomatic or official/service passports of Albania, Cambodia, Chile, China, Cuba, Dominican Republic, Egypt, Iran, Kuwait, Laos, Morocco, North Korea, Peru, Qatar, Singapore, Thailand, Turkmenistan, Uruguay, Venezuela and Vietnam do not require a visa to visit Ukraine. Travelers are allowed to bring in duty-free 1 liter of spirits 2 liters of wine 5 liters of beer, 200 individual cigarettes or 50 cigars. Q. When should I visit Ukraine? A. Major cities such as Kiev and Lviv are popular from May through September since the weather is generally warm and there are many attractions within the city. The summer season is most recommended as July and August are the peak months to visit the beach. During this time, there are also several film festivals such as the Odessa International Film Festival. Airports handling direct flights to Kiev (Zhuliany) International Airport • Anna Airport (Chennai) • Shivaji Airport (Mumbai) • Kolkata Airport (Kolkata) • Tiruchirapalli International Airport (Tamil Nadu) etc. Airports handling direct flights to Chernivtsi International Airport • Frankfurt Airport (Germany) • Beijing Capital International Airport (China) • Abbotsford International Airport (Canada) • Chubu Centrair International Airport (Japan) etc. Airports handling direct flights to Donetsk International Airport • Belfast International Airport (UK) • Canadian Rockies International Airport (Canada) • Cape Town International Airport (South Africa ) • Kaohsiung International Airport (Taiwan) etc. Airports handling direct flights to Kharkiv International Airport • Geneva Cointrin International Airport (Switzerland) • Amsterdam Airport Schiphol (Netherlands) • Oslo Gardermoen Airport (Norway) • Norrkoping Kungsangen Airport (Sweden) etc. Most international flights to Ukraine arrive at Kyiv Boryspil Airport. Domestic flight tickets are also available from this airport to major cities in Ukraine for air travel within the country. Ukraine International Airlines is the national airline of Ukraine.